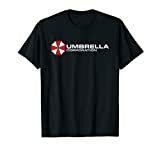 If you're a fan of the Resident Evil video games and movies, you know all about the ruthless Umbrella Corporation and their creation of the zombie-creating T-Virus. 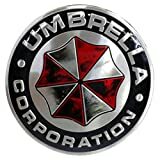 Well, now you can show your support of this mega-corporation, protect yourself from inclement weather and fight off the undead with this cool new Resident Evil - Umbrella Corporation Umbrella. 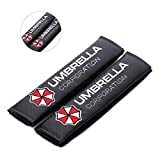 The Umbrella Corporation Umbrella is a unique promotional umbrella that has the same alternating red and white nylon panels as the official logo. It features push-button automatic opening, a 42 inch arc, a metal handle and a flexible, black wrist strap for carrying. 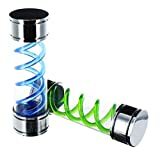 Will it actually help you survive through a biohazard outbreak of killer, flesh-eating zombies? No, probably not, but it will keep you dry in the meantime.